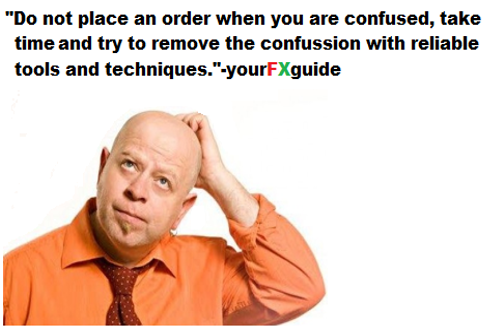 Financial market very often makes the traders confused, specially in identifying chart patterns. I still find it difficult when I identify the Elliott's impulsive five waves, specially when the waves of larger degree contain waves of smaller degree. This post is written to explain the complexity arises in identifying the impulsive five waves and the way to solve this problem. In the above illustration we can see a complex situation came before the traders in identifying impulsive five waves formation. On the above price chart we can see the impulsive five waves formation appears thrice, which made the situation complex. We also noticed that the wave-2 and wave-4 of the first impulsive five waves have a-b-c corrective waves within them. When the impulsive fifth wave came second time which is of larger degree, the situation became more complex. This type of complexity arises specially when market makes a corrective b wave higher/lower than the followed impulsive fifth wave. 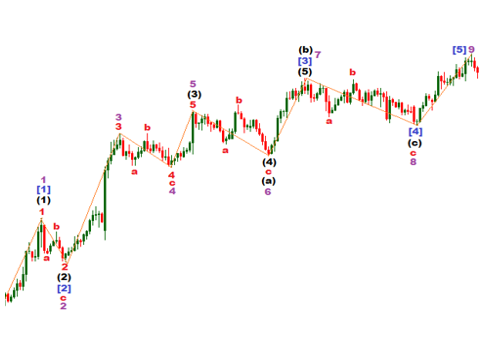 Whenever the corrective wave b is higher/lower than the followed impulsive five waves, a new fifth wave appears and change the wave pattern. This type of formation is very hard to predict with the technical prediction tools. You can see the impulsive five waves pattern of largest degree is finalized when the market makes nine impulsive waves in total, without considering a-b-c waves within the waves of smaller degree. So the only effective prediction tool here is nine waves within the impulsive five waves, which we discussed in this trading guide earlier. The most important question in your mind is "How to solve the above illustrated problem?" 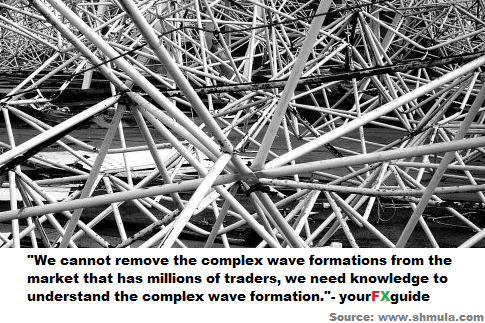 I can confidently say that there is no traders who can barely explain the impulsive wave formation before it appears. The logical answer of the above question is that "If in a real time market an impulsive five waves formation is found, only the traders who know the effective fundamental analysis and sentiment analysis can forecast the further moves of the market and can predict the possible complexity in impulsive five waves formation." Dear Traders, combination of all forms of analysis can only ensure a profitable trade. Any one of the analysis is not alone sufficient to ensure profitable orders.